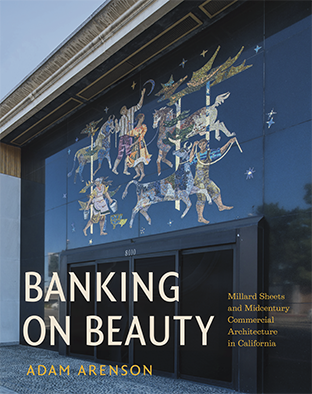 Adam Arenson will discuss his latest book, Banking on Beauty: Millard Sheets and Midcentury Commercial Architecture in California. Arenson is Associate Professor of History and Director of the Urban Studies Program at Manhattan College. He has written or coedited three previous books on the history of the American West and the politics and culture of US cities, including the award-winning The Great Heart of the Republic: St. Louis and the Cultural Civil War. Arenson has also written for the history blogs of several national publications, including the New York Times.